Aarrow Stoves have been associated with excellent design, impeccable quality and superior performance since they manufactured their first stove 30 years ago. Each Aarrow stove is handcrafted in their purpose built factory in Devon and they source as many of the raw materials as possible from the UK. 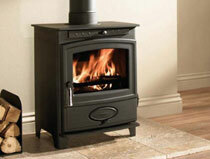 Aarrow are the only manufacturer to offer a lifetime guarantee on the stove body. 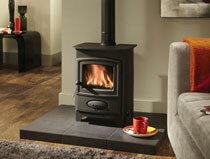 County Woodburning Centre stock the full range of Aarrow stoves. 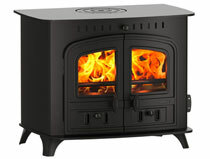 Visit our Aarrow Acorn 4 Stove page. 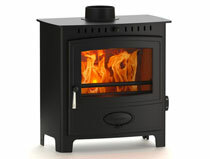 Visit our Aarrow Ecoburn 7 Stove page. 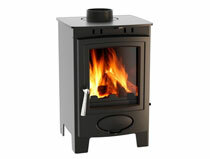 Visit our Aarrow Ecoburn DEFRA Stove page. 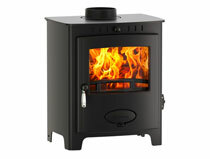 Visit our Aarrow Ecoburn Plus 5 Inset Stove page. Visit our Aarrow Ecoburn Plus 9 page. 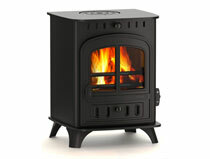 Visit our Aarrow Sherborne Medium G2 Stove page. 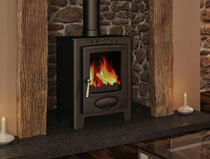 Visit our Aarrow Signature 5 Inset Stove page. 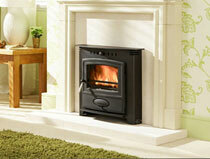 Visit our Aarrow Signature 7 Inset Stove page. 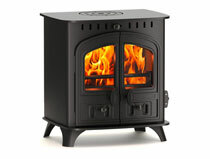 Visit our Aarrow Acorn 5 Stove page. 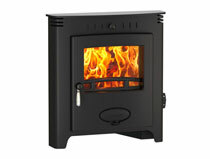 Visit our Aarrow Ecoburn 7 Inset Stove page. 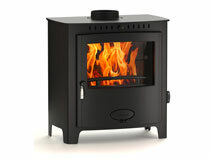 Visit our Aarrow Ecoburn Plus 4 Stove page. 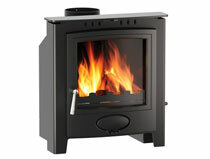 Visit our Aarrow Ecoburn Plus 7 Stove page. 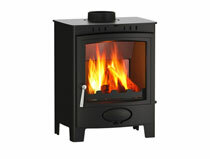 Visit our Aarrow Sherborne Compact G2 Stove page. Visit our Aarrow Sherborne Large G2 page. 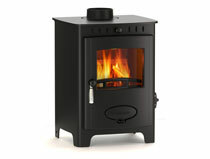 Visit our Aarrow Signature 5 DEFRA Stove page. Visit our Aarrow Signature 9 Stove page. 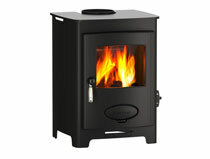 Visit our Aarrow Ecoburn 5 Stove page. 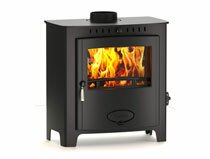 Visit our Aarrow Ecoburn 9 Stove page. 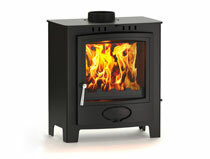 Visit our Aarrow Ecoburn Plus 5 Stove page. 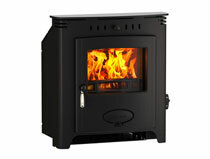 Visit our Aarrow Ecoburn Plus 7 Inset Stove page. 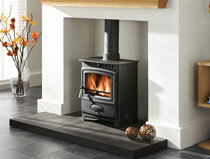 Visit our Aarrow Sherborne Small G2 Stove page. 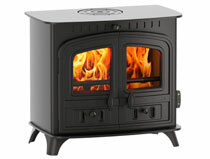 Visit our Aarrow Signature 5 Stove page. Visit our Aarrow Signature 7 Stove page. Visit our Aarrow Signature 11 Stove page. "The warmth and ambiance of a wood burning stove makes any room welcoming on a cold winter evening. Sit back and relax in front of the warm glow of an efficient stove." Aarrow have a reputation for excellent quality. To ensure that every stove leaving their Devon factory is finished to the highest standards they are quality checked by each department as they progress down the production line. Aarrow are known for supporting British industry and not only is every stove handcrafted in their purpose-built factory in Devon, they source as many of the raw materials as possible from the UK. Aarrow's team of expert designers have a combined experience of over 45 years. As part of their design development, they have thoroughly investigated every element of the process that turns fuel into useful heat. Developing features such as the Flexifuel System (patent pending), pre-heated airwash, secondary and tertiary burn have kept Aarrow at the forefront of stove design. The end result is a highly efficient and controllable stove that is easy to use. 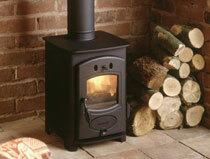 Aarrow stoves can burn wood for a longer period of time, with industry leading efficiency ratings of over 80%. For stove users, this means less fuel is used and more heat is generated. 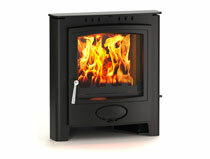 Our best selling Aarrow stoves are the Aarrow Acorn 4 stove and the Aarrow Ecoburn 5 stove. 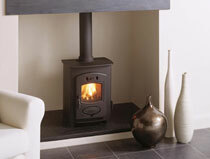 Aarrow stoves are all capable of producing a substantial level of heat. Please consult with us with regards to the most suitable heat output for your intended installation. Contact County Woodburning Centre on 01724 844872 and our friendly, knowledgeable staff will answer your questions about any of the Aarrow stoves shown on our website. Alternatively, why not visit our 3000 square foot Lincolnshire stove showroom where we'll be happy to light up one of our Aarrow stoves so you can see these fantastic stoves for yourself. Burning wood is kinder to the environment than any other domestic fuel.